Posted on May 22, 2017 at 1:27 pm. Research has revealed clubs with electronic gaming machines in Canberra are donating money which is supposed to be reserved for the community back to themselves. Under the ACT’s pokies scheme, all clubs are required to give eight per cent of all profits earned from the pokies into community support. A report has shown just how deeply flawed that system is, with clubs claiming things like physiotherapy, massage and coaches wages as community contributions. Foundation for Alcohol Research and Education (FARE) asked leading gambling researcher, Dr Charles Livingstone of Monash University to look into the scheme and see where the community funds were really going. His research revealed that 70 per cent of the $7 million of community funds in 2014-2015 were being allocated back into the clubs. He said while the clubs aren’t technically breaking the rules, the rules need to be immediately reviewed to ensure clear guidelines are in place. The report showed that 70 per cent of community contributions went to sport, with close to $1 million spent on wages for grounds and administration staff, $244,300 on players wages, $153,700 on coaches wages, $17,400 on umpires, $830,000 on elite sports players, $36,000 on physiotherapy and massage, $14,400 on medical supplies and $3910 on drug testing. The clubs also claimed large sums of money for maintenance of sporting facilities, electricity, water and sewage, use of club rooms and fees for sports affiliations. The FARE report also revealed that only $63,000 was spent on contributions to assist with problem gambling support, with only a small percentage of Canberra’s 46 clubs making a donation. Dr Livingstone called the ACT pokies scheme an “alibi” and a “smokescreen” that allowed Canberra’s clubs to justify their monopoly on poker machines and minimise taxes. Shane Rattenbury, Leader of the ACT Greens, said it was important to recognise it was appropriate that a fair amount of money went to sport as it does bring benefits to the community, but that an independent fund was needed to distribute some of the funds elsewhere. Local clubs have rejected the research, with Clubs ACT’s Gwyn Rees labelling the report as offensive. 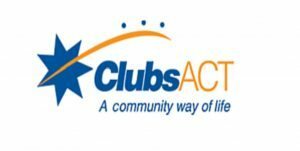 The ACT Government released a statement saying it will work with clubs and stakeholders to improve the community contribution guidelines.